Does government regulation actually benefit the government? It seems like an odd question, particularly as it relates to online gaming. You would figure that regulating and taxing an industry would mean more money in the government’s pocket. For the most part, that’s the case. But up in Canada, they seem to do things a bit differently. In Canada, the market is relatively gray. Online casinos serve players across the country. And slowly but surely, individual provinces have decided to get in on the action. But rather than hand out licenses, they’ve decided to run the sites themselves. 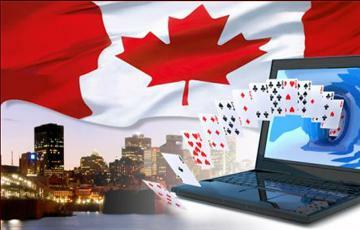 In British Columbia, the government-run PlayNow.com website offers casino and poker games. Manitoba and Quebec also have their own platforms for residents of those provinces. And in Ontario, the just-launched PlayOLG.ca website serves residents of that province. The provinces got into the game because they felt that they were missing out on hundreds of millions of dollars in revenue. Their argument, as it went and continues to go, is that by creating an online casino of their own, they could keep the cash in the province instead of seeing it funneled offshore. But that might be easier said than done. It turns out that the government could be doing a service to offshore casinos by creating their own site and actually end up funneling more money to the independent sites (like us, for example). Studies have shown that when the government gets involved and puts money behind a cause, they are able to raise awareness on a subject or even a brand. Online gambling might not have been on a certain segment of the population’s radar last year, but now that the government has their own casino and is promoting it, people start to pay attention. Unfortunately, for the government, that doesn’t mean the now-aware gamblers are suddenly going to spend money at the government casino. Instead, they are going to do their research. They’re going to review the government casino. And they’re going to review the independent ones, which usually offer better promotions and bigger jackpots. And when they see that the more-established international sites aren’t the fly-by-night sites the government claimed them to be, they’re more apt to play at the offshore site. Sure, the government sites are making money. But it might be 25% of the new funds entering the market. People who play at offshore sites aren’t going to suddenly switch, especially if they have no problem getting paid when they win. We’ve definitely seen an uptick in players from markets that have just regulated online gambling, or even neighboring states where regulated gambling is suddenly on the radar. And that means bigger jackpots for all our players, so this really is a win-win scenario.